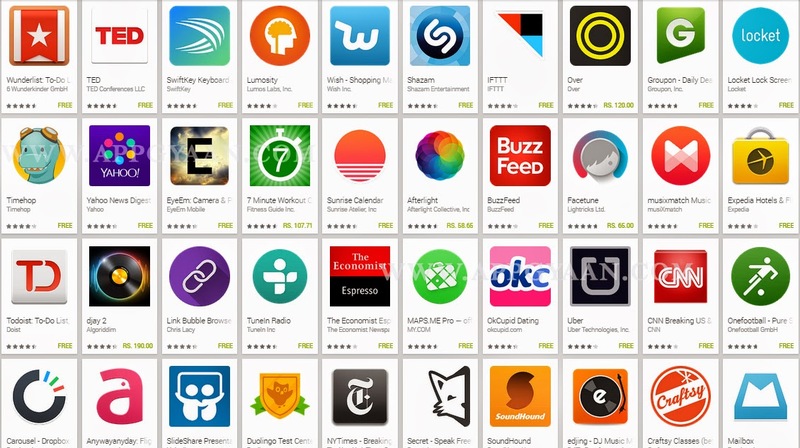 With over 1Million apps on Google Play, selecting the right apps is not an easy task, to make it easy Google has released the list of best apps for 2014. The list contains total of 68 (61 Free + 7 Paid) Apps including paid and free apps from the different categories. Whether you’re looking to stream a movie, learn a new language or manage your business calendar, chances are there’s an app that will fit the bill. We at App Gyaan feel that some of the apps should be added in the list, we will talk about those apps at the end of the article. You can check the list of the apps here. According to us some of the apps from the list are worth downloading, but other doesn’t seem to be same. We don’t have any information about how this list has been made. According to our guesses and assumptions the main factors in this will be the combined results of User Review, Number of Downloads, ratings and various others factors. According to App Gyaan Team the list of Apps should include, INBOX: From Google, Star Walk, etc. That is what we have today for all of you, please share you feedback and suggestion on the Google Apps list and share with you friends.